I’ve always liked having background noise as I work, but I hated the feeling of having the TV on all day, and found podcasts to be the perfect answer. I’ve tried a variety and have those that I listed to when I truly need background noise (i.e. don’t really need to pay attention), and others I put on when going for a long walk, exercising , or trip. When we were trying to get pregnant, I took to the search bar in hopes of finding a useful podcast for what I was going through. Beat Infertility was the first I obsessively listened to, but more so, it opened up a platform of finding information and connection. After I became pregnant my podcasts changed focus onto preparing for his birth, and after he joined us, changed again to parenting. Finding a podcast you love isn’t as easy as it seems, and you may have to listen to a few episodes to feel out if it’s a good fit for you (like a therapist or a new coffee joint). Here are my favorites, and a few I’ve heard about but have not tried yet, to add to your subscription list! This podcast was truly like therapy for me. I gained hope and strength through hearing other women’s stories of fertility treatments and the success they had, even if it took them years. The host, Heather, asks the same questions to each episode’s guests and simply lets them tell their story. She also has episodes dedicated to experts where she interviews professionals from endocrinologists to therapists. This podcast is hosted by Lisa, a Fertility Awareness Educator and Holistic Reproductive Health Practitioner. 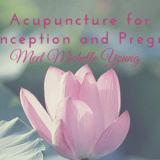 She gives engaging advice and information on connecting your health and fertility, and using your cycle to naturally monitor your fertility without the use of the pill or other forms of hormone altering birth control. She is incredibly knowledgeable and shares real life stories from her life and experiences from clients. I found this podcast once I was pregnant, but listened to relevant episodes to prepare myself for getting a healthy cycle back postpartum. The host, Sarah Clark, struggled herself with fertility and is now a functional medicine practitioner and certified life and health coach. Her guests are a range of holistic practitioners with a central focus on increasing fertility and dealing with fertility issues. These episode’s aren’t as structured, but I enjoy the conversational flow and the information shared in each. I have been a guest on Sarah’s show where we talked all things exercise and fertility! Check out that episode here. I think it was around hitting the 3rd trimester that I became nearly obsessed with birth stories. The Birth Hour is just that. A wide variety of women simply telling their birth stories. The host interjects somewhat to spark conversation, but it is primarily interview style featuring the mother. I liked listening to stories aligned with what I envisioned, as well as stories drastically different than my “plan” (water birth, home birth, etc.). It was a helpful podcast when we found out Baby Boy was breech and they had episodes featuring women in my exact position! It truly helped calm my fears and got me more excited than nervous about birthing my baby. OK, not a fan of the term “preggie”, but don’t let that deter you! I haven’t listened to this particular podcast, but I did enjoy Newbies (we’ll get to that shortly) which is another podcast in their network. This podcast is panel style featuring a variety of women; pregnant women in all trimesters, new and experienced moms, as well as experts. 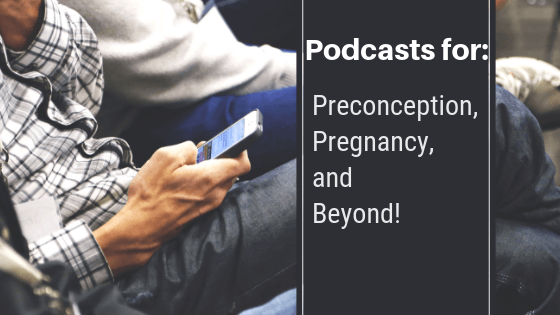 This mega resource of a podcast is listed on nearly every pregnancy podcast list, and for good reason. Your host, mother of two, Vanessa, strives to provide research backed, evidence based information, and sometimes brings on expert guests. Her goal is to help you make informed and confident decisions throughout your pregnancy. Another popular prenatal podcast, Birthful, is hosted by Adriana, a birth doula, eco-maternity consultant, postpartum educator and child sleep consultant. Each week she features pregnancy, birth, and postpartum experts to help inform pregnant women and new parents with well-researched, tried and tested tips and tools to help you make informed decisions for your growing family. This is the first podcast I subscribed to after Owen was born. It features a birth doula and V-BAC coach along with new moms providing different discussions each episode. They provide factual information on all things a new mom experiences in the first year of their babies life. There are 5-minute birth stories, listener email, ask the experts, and baby headlines (what’s in the news for new moms and babies) as regular segments. I found it super informative for those first few months, although after 5-6 months I stopped regularly listening as I had experienced a lot of the firsts they cover. Still, they do a great job of talking openly and repeatedly about PPD which is important far longer than the first couple of months! I have recommended this podcast to every mom friend I know! The hosts are two hilarious comedians, each with 3 kids, who simply tell what their kids did that week that made them want to drink. The usually have a guest who shares a story as well, but no matter what the episode you will be laughing hard! 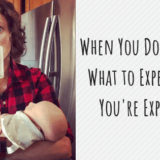 It’s refreshing to hear moms who are winging a lot of it, and always questioning if they’re doing things right. My favorite is how they end the show, by telling each other that they are “doing a great job”. Being a mom is hard, but their stories make you feel less isolated in the chaos, and there’s something quite endearing about that. A friend in my mom group led me to this podcast, and after being so-so on an episode or two, I got addicted and binged all of 2017…oops! There are years of this show so you will be entertained for a while. There are 3 hosts, all with multiple kids ranging from 4 years old to later teens. What I like is that you get different opinions and perspectives of parenting issues – some simple, and others quite complicated – and hear all sides. It is highly discussion based so if you enjoy listening to stories being told and opinions tested, this is the show for you. They always answer at least a couple of listener emails whih lead to interesting and thought provoking discussions. This is a fun show featuring two moms as hosts. They tell stories and discuss around a certain theme of all the firsts parents encounter. From, “The first time your kid fell HARD on their head”, to, “The first time your kid chose their own outfit”, it makes me excited about all the firsts I’ve yet to experience, and makes me think of all the firsts I already have!